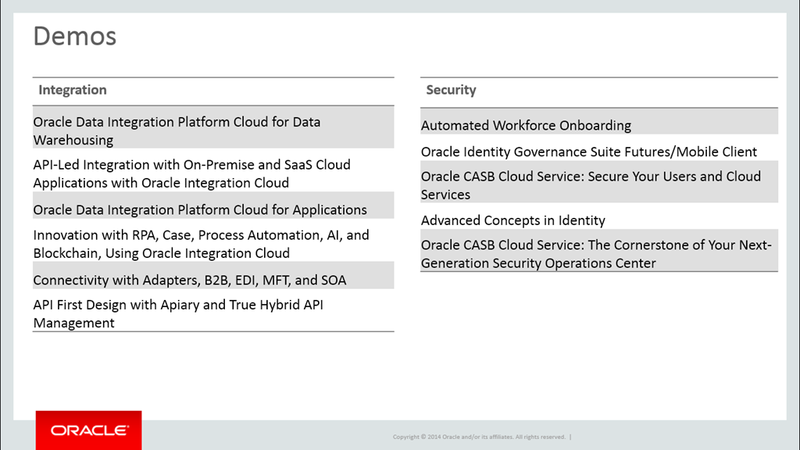 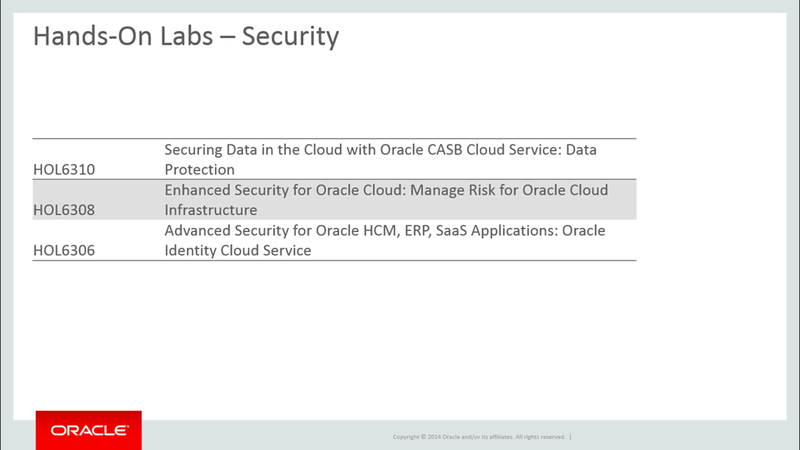 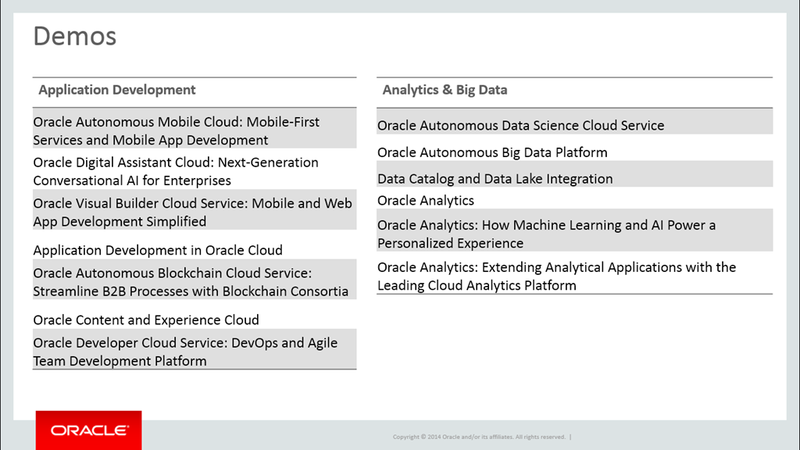 Which Oracle OpenWorld 2018 PaaS session should you attend? 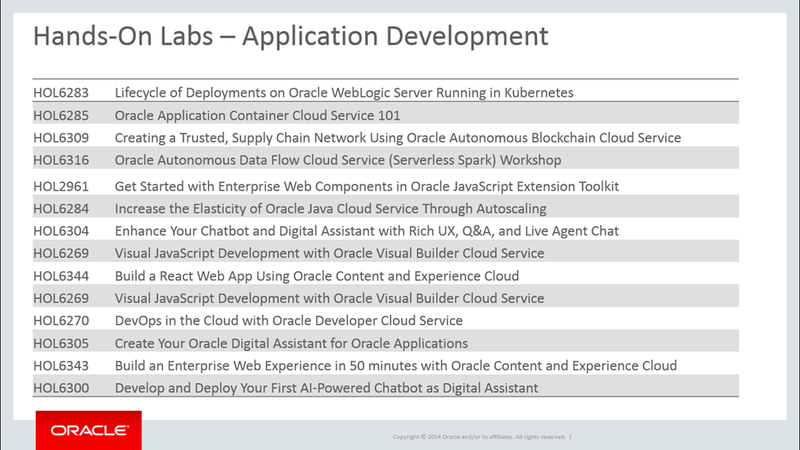 In case you attend Oracle OpenWorld 2018 below focus-on documents, key session, hands-on labs and exchange demo ground overview information helps you to choose your PaaS session. 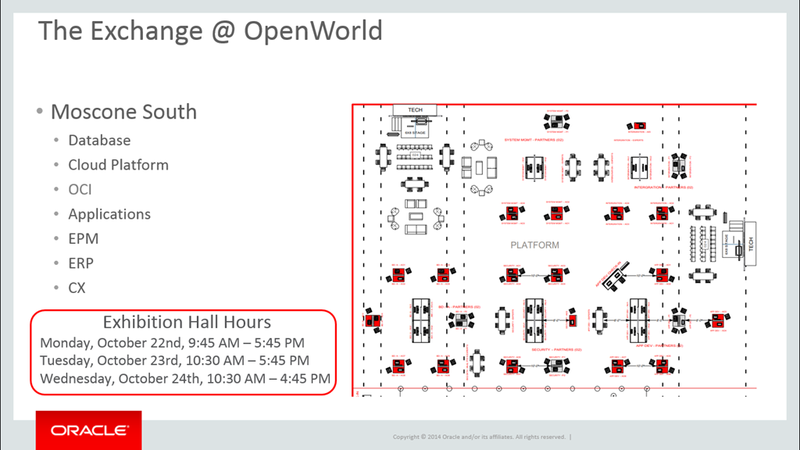 For an OpenWorld preview and all details please visit the on-demand webcast here. 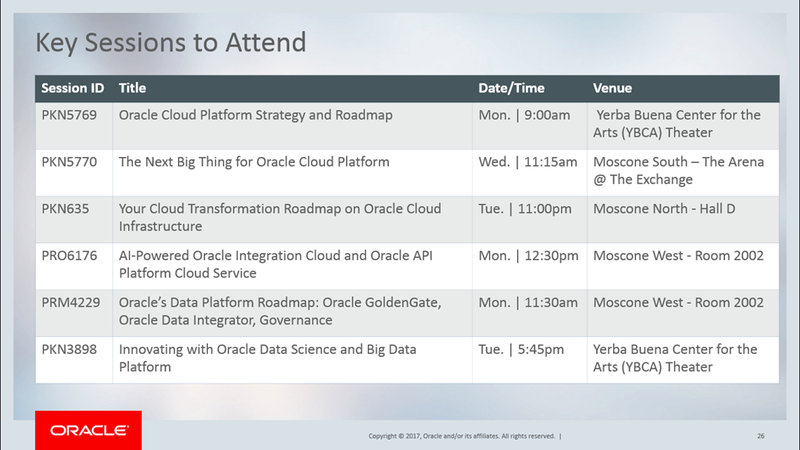 In case you can’t make it to San Francisco visit the Oracle OpenWorld website and watch keynotes live & on-demand. 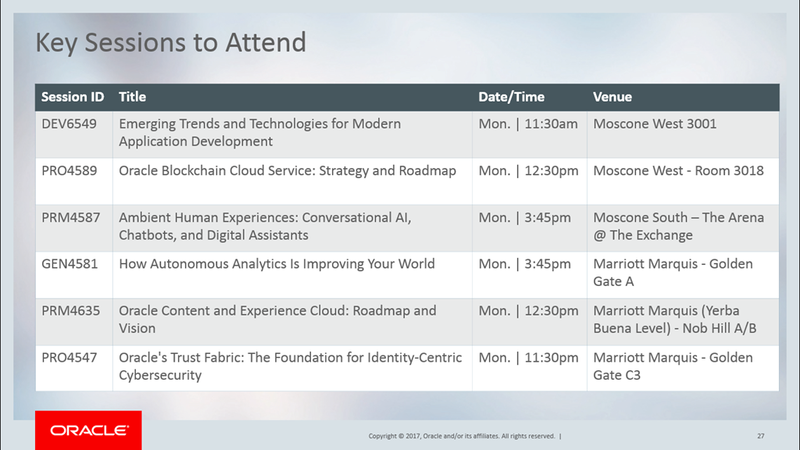 Good trip to San Francisco, and see you at the Community Reception.